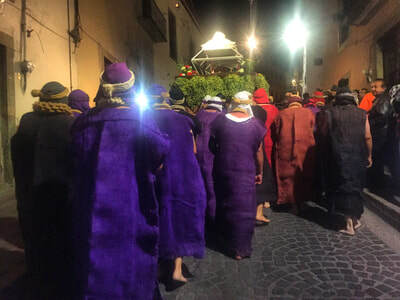 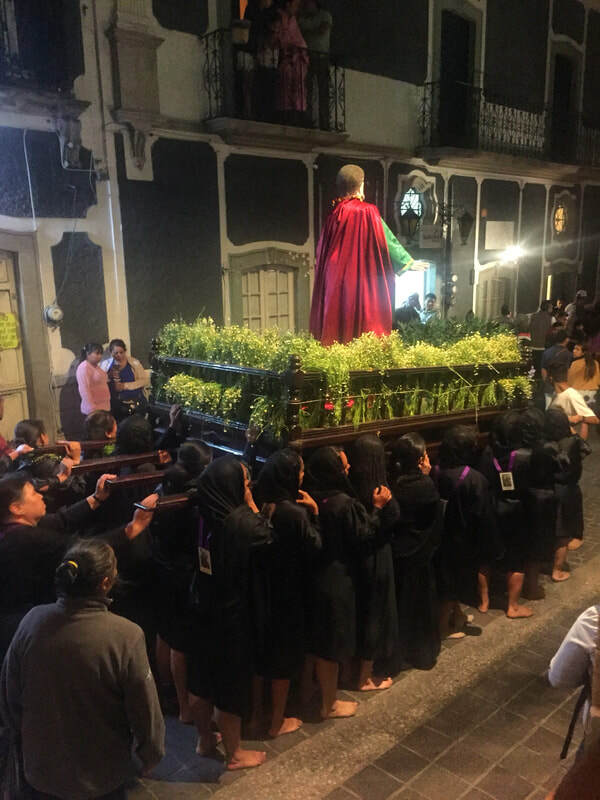 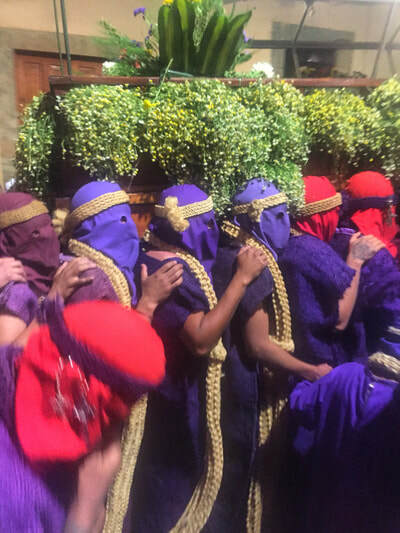 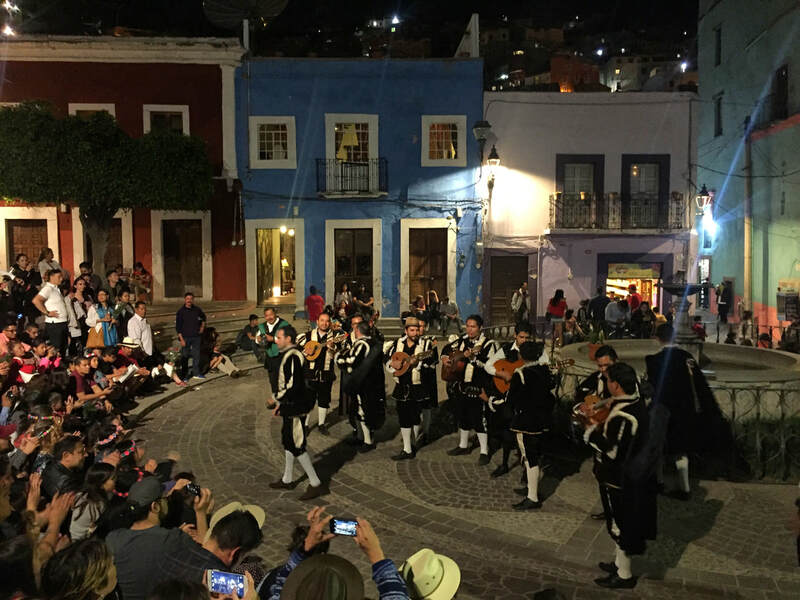 4-day 3-night escape to Guanajuato to experience the expressive and unpolished Semana Santa events of Guanajuato. 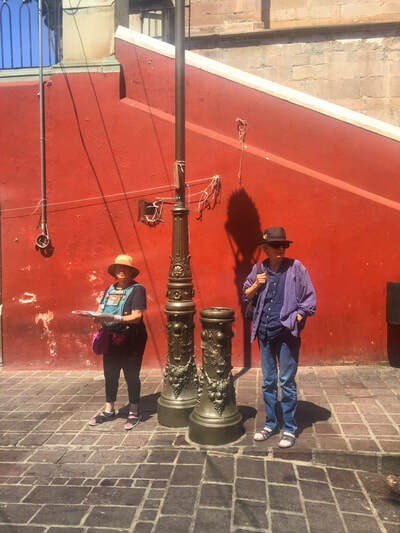 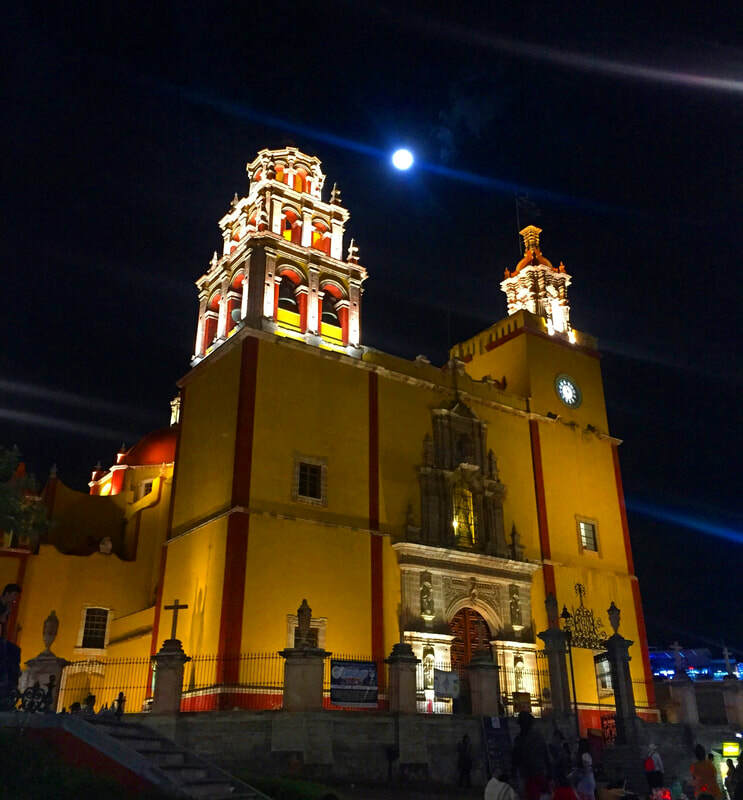 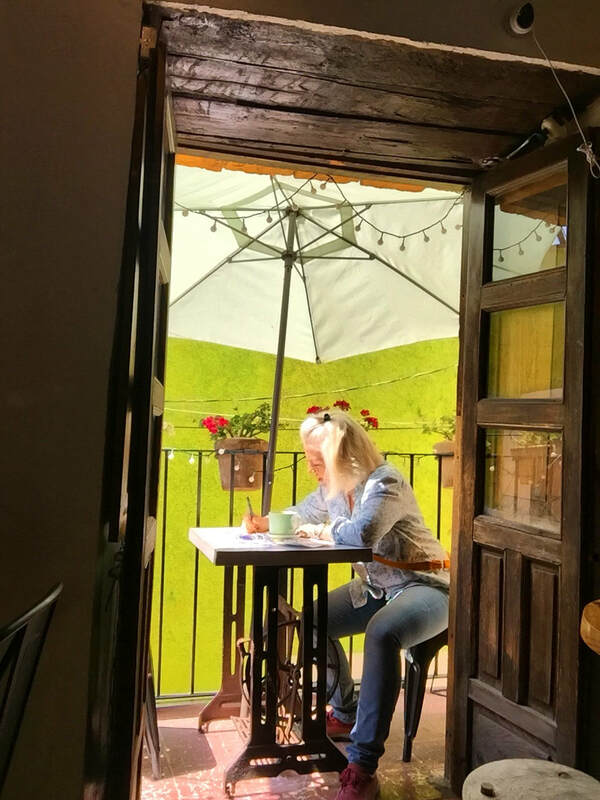 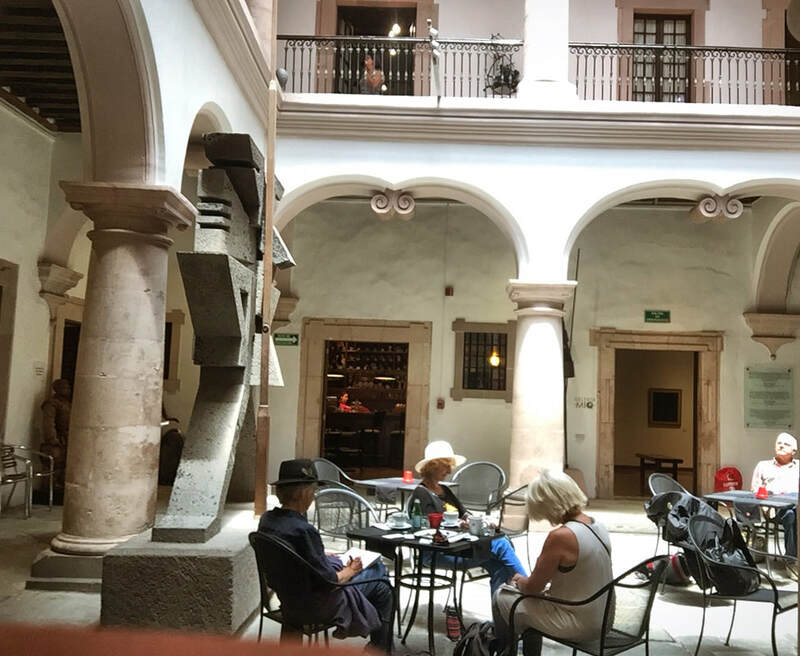 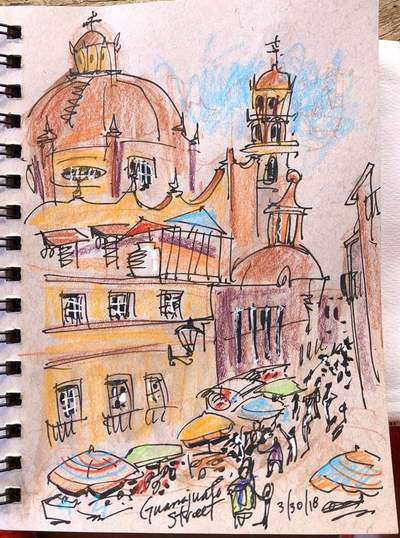 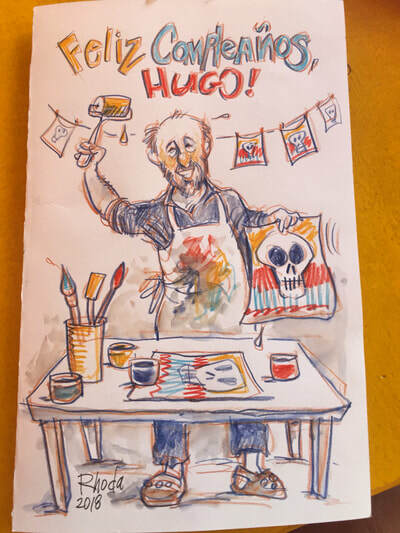 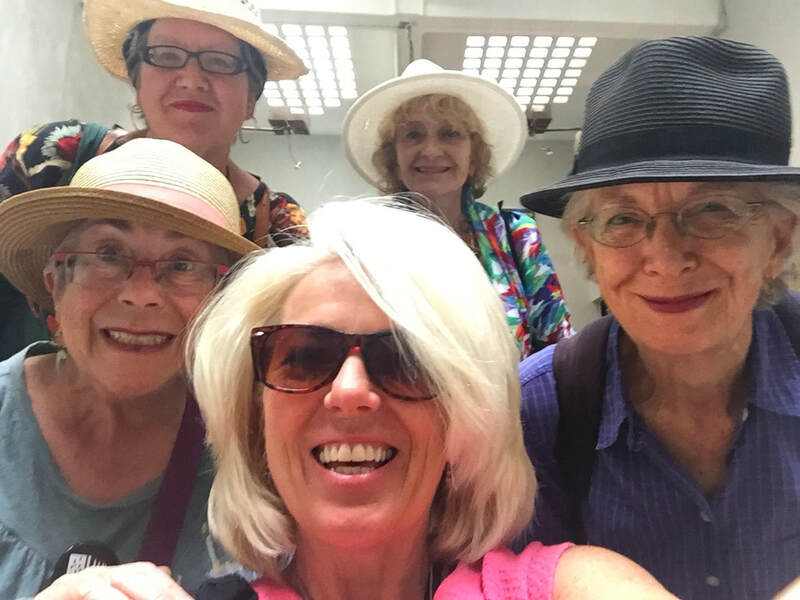 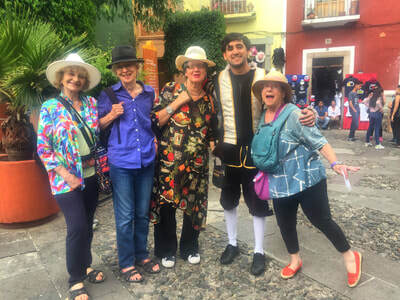 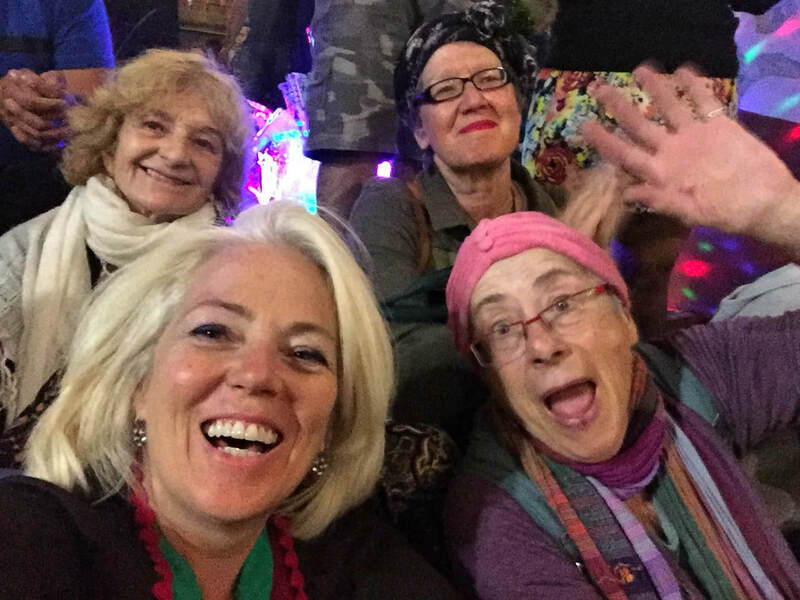 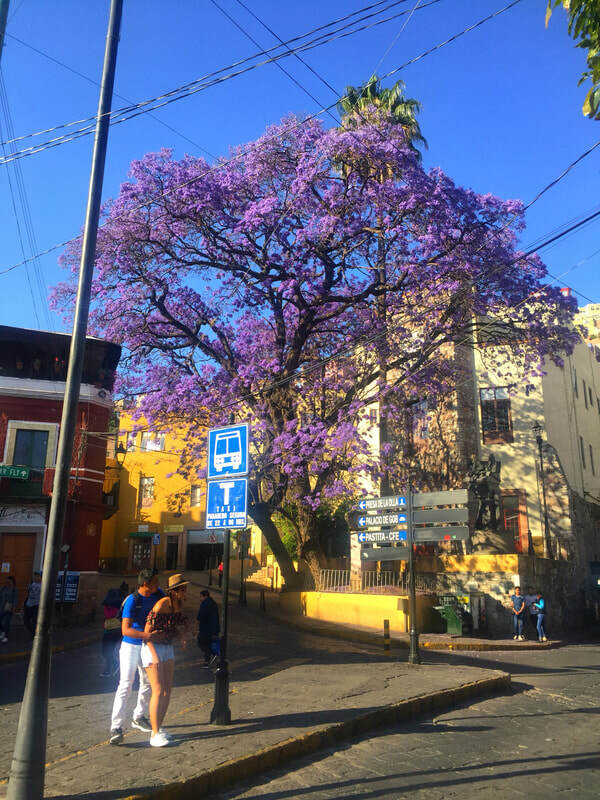 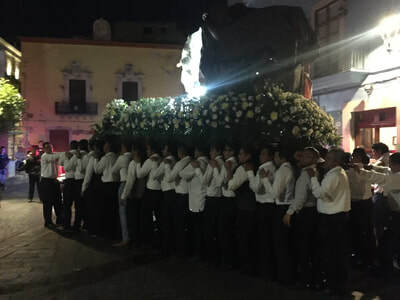 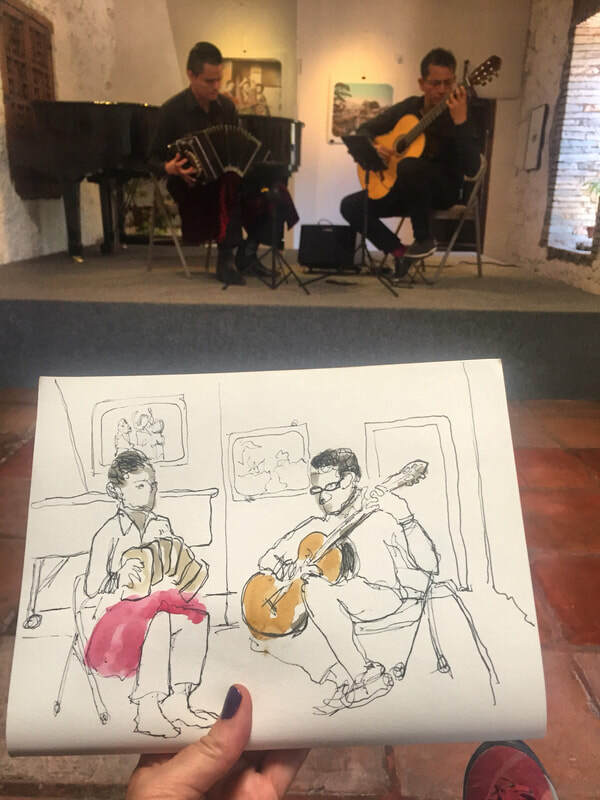 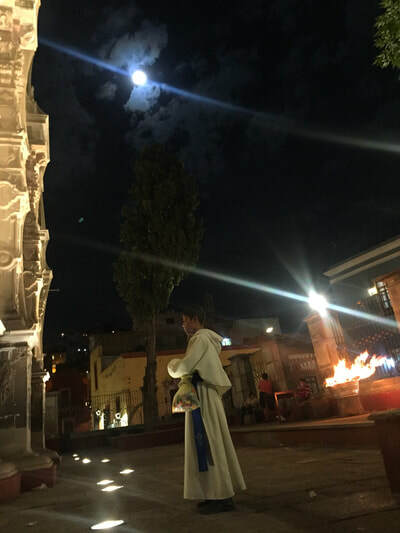 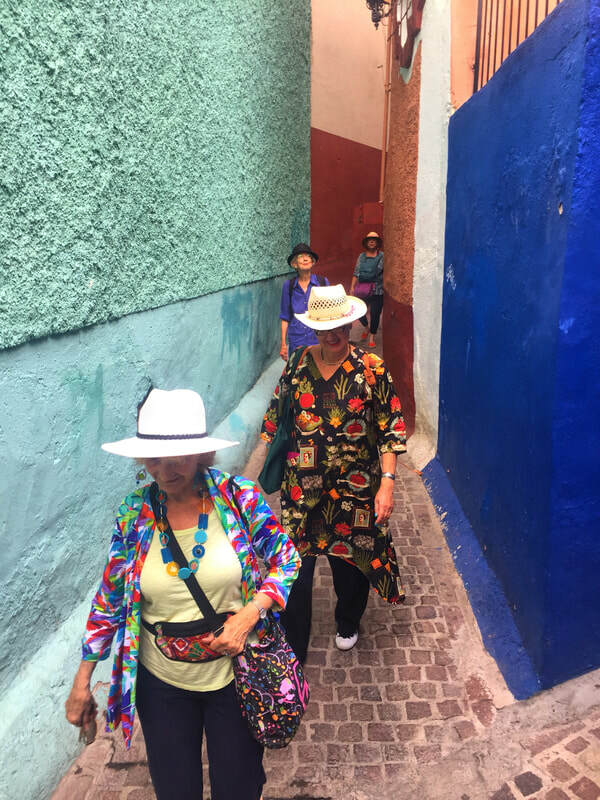 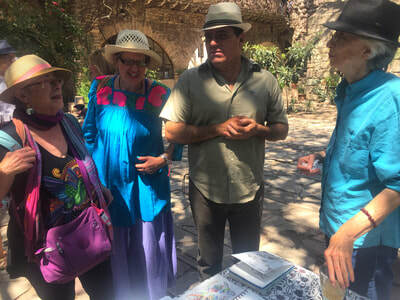 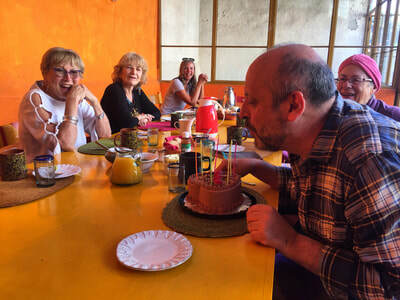 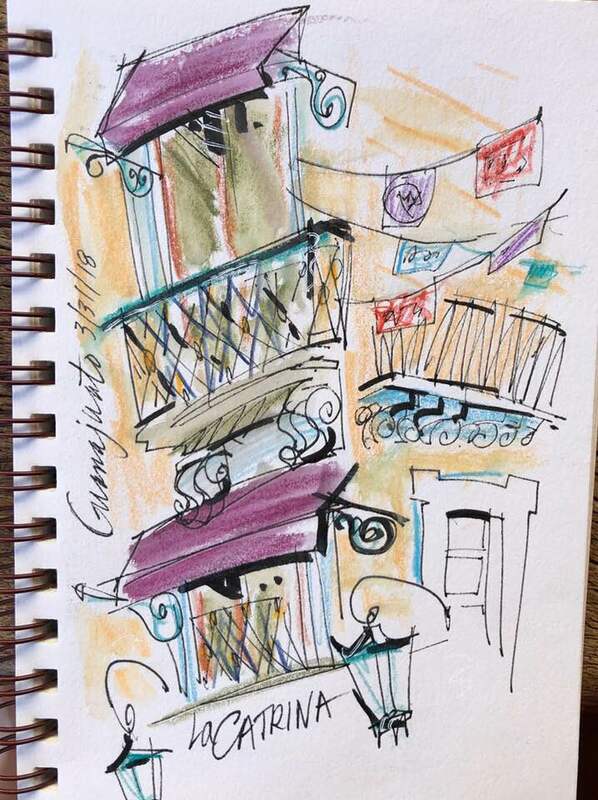 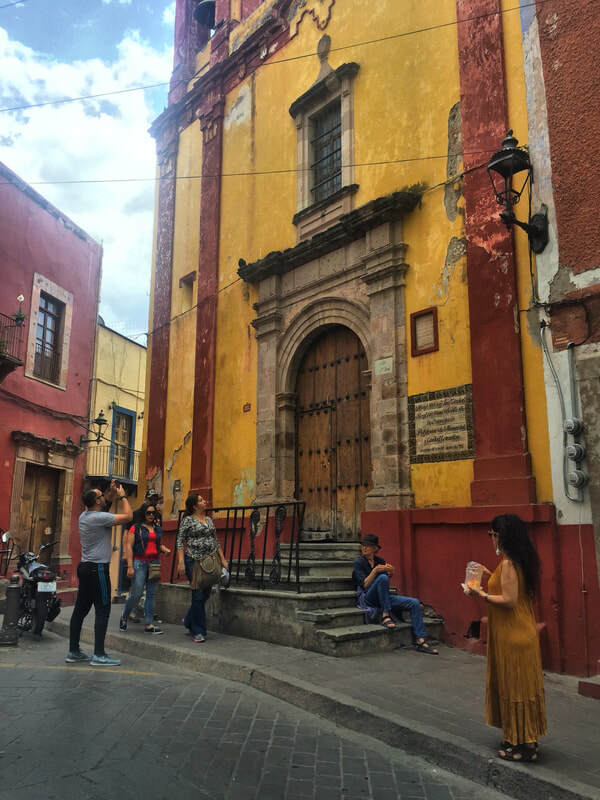 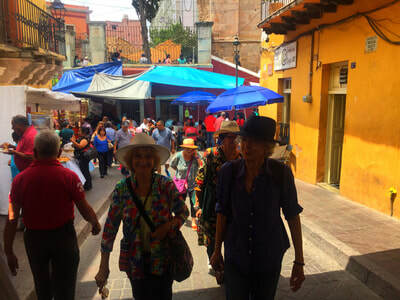 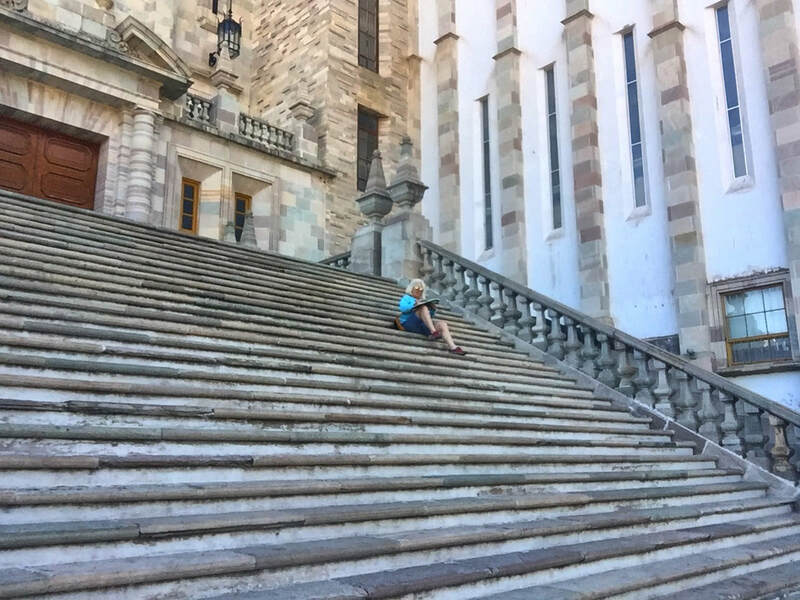 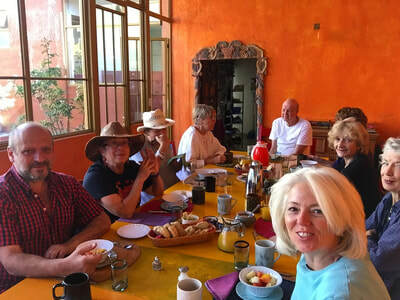 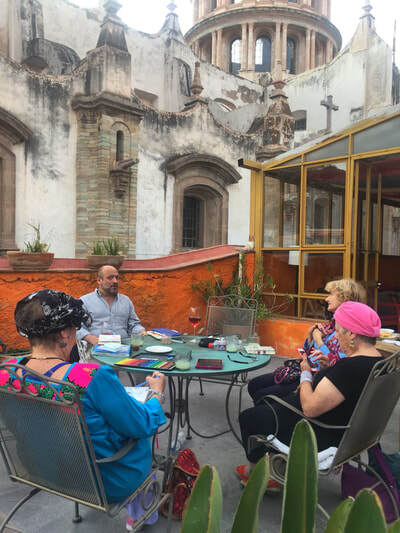 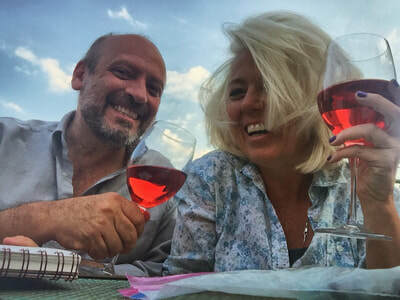 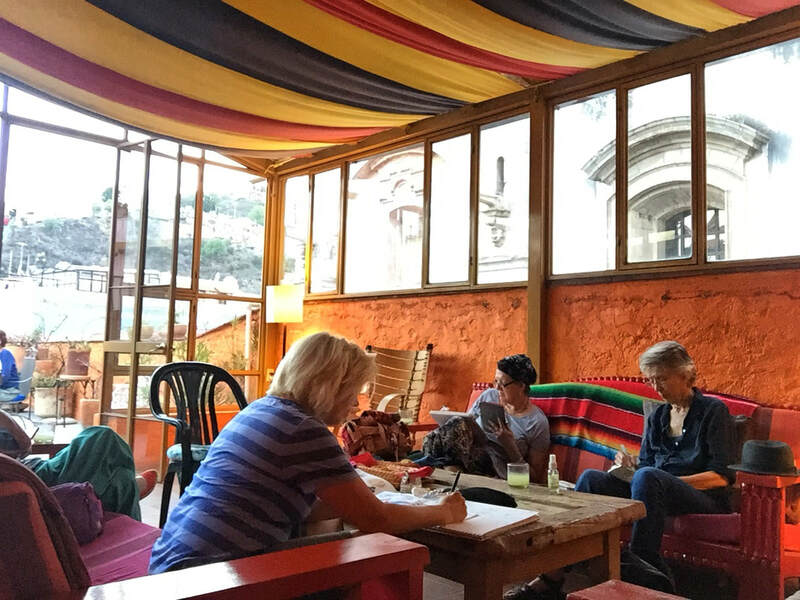 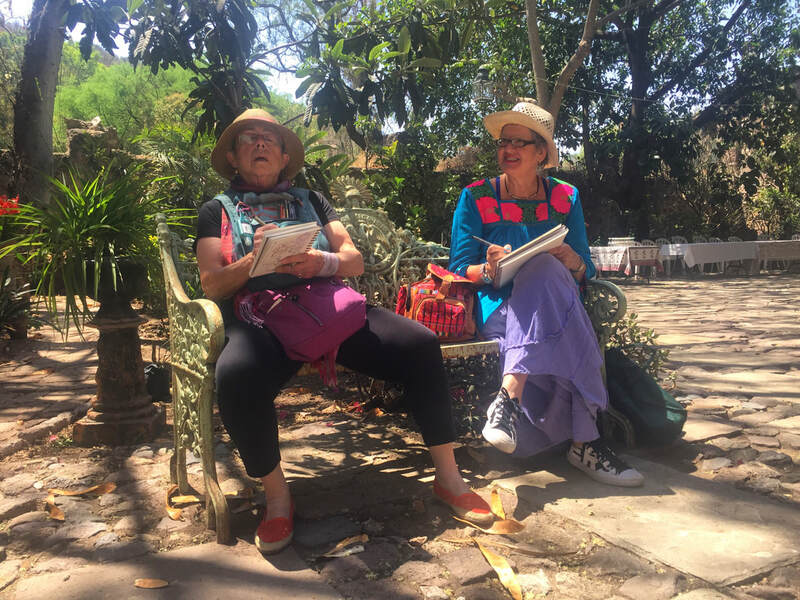 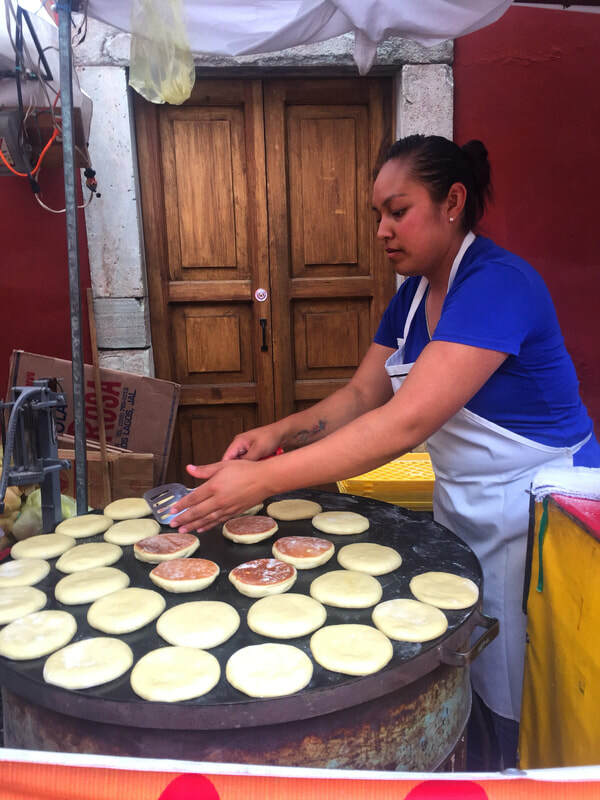 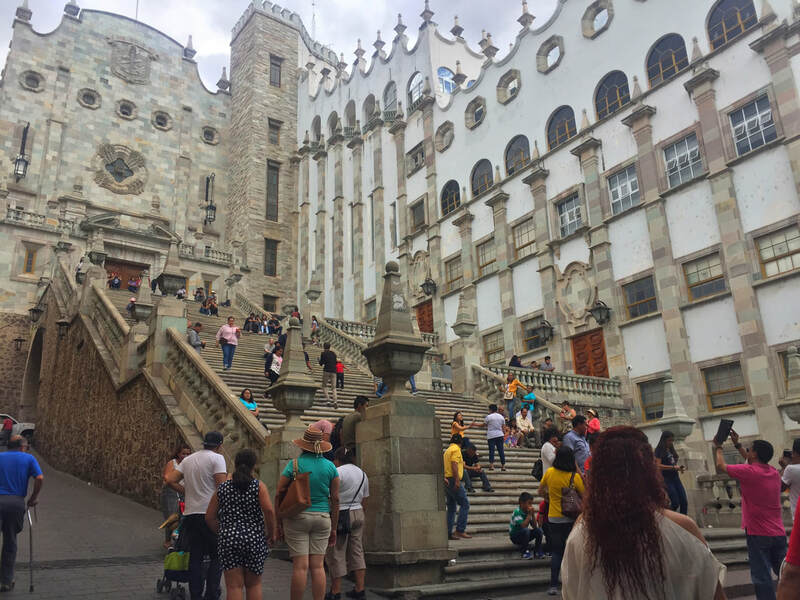 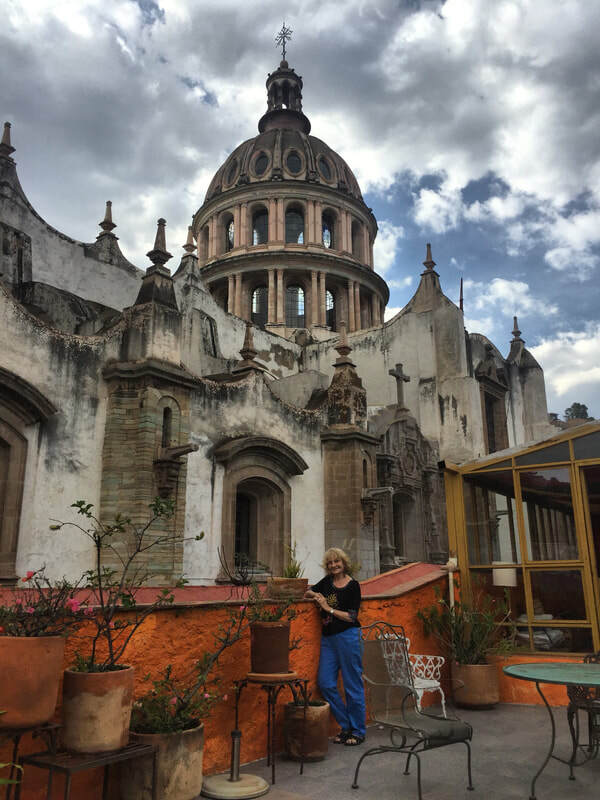 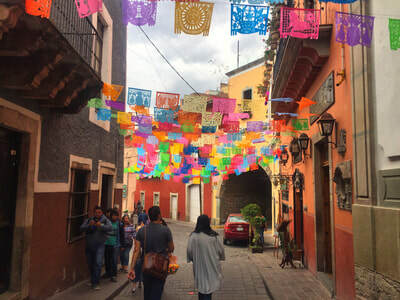 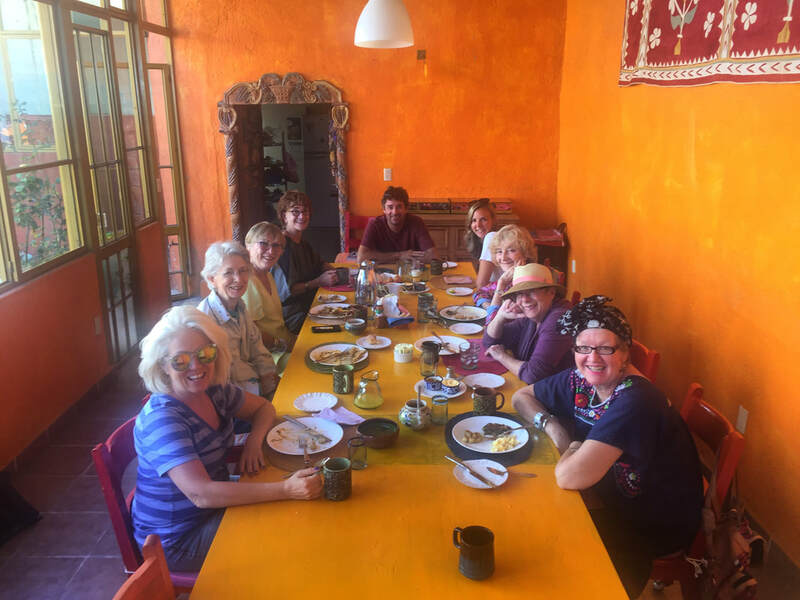 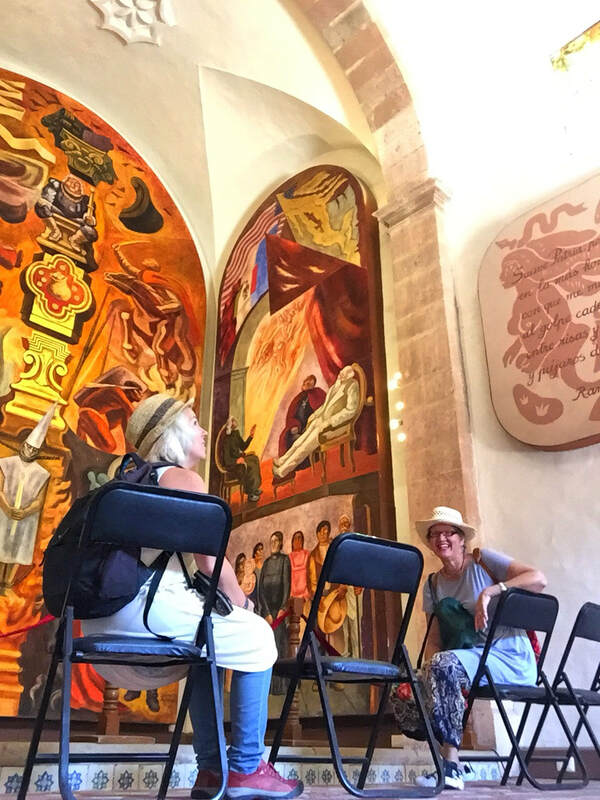 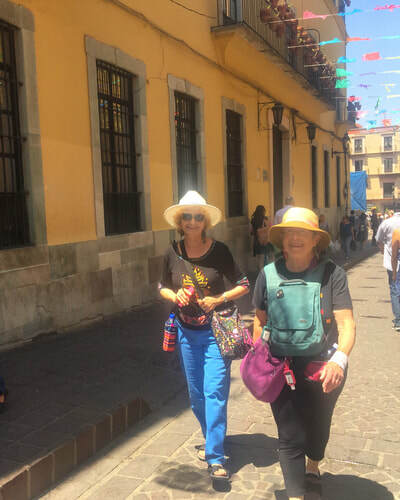 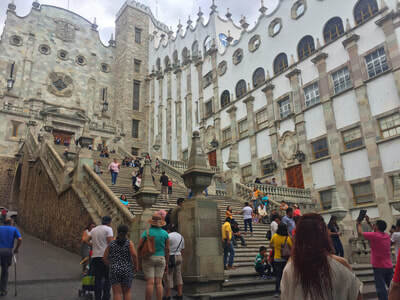 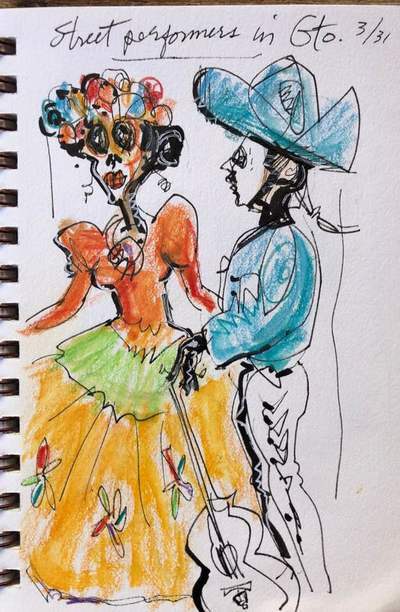 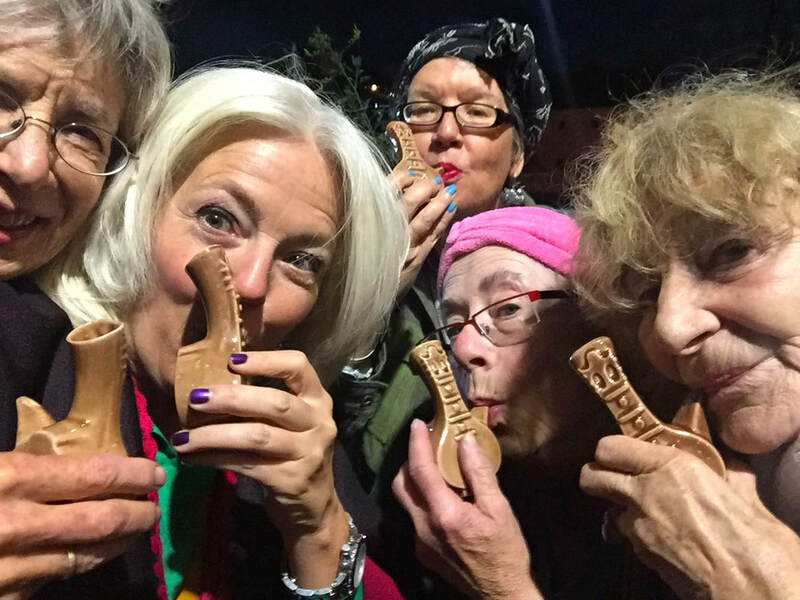 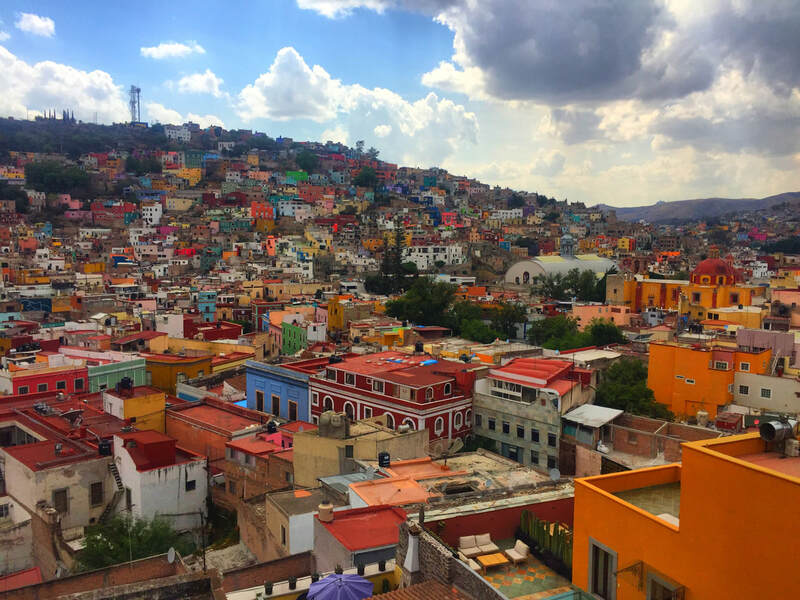 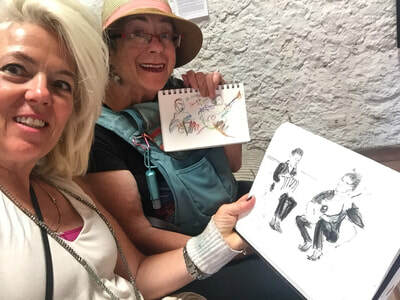 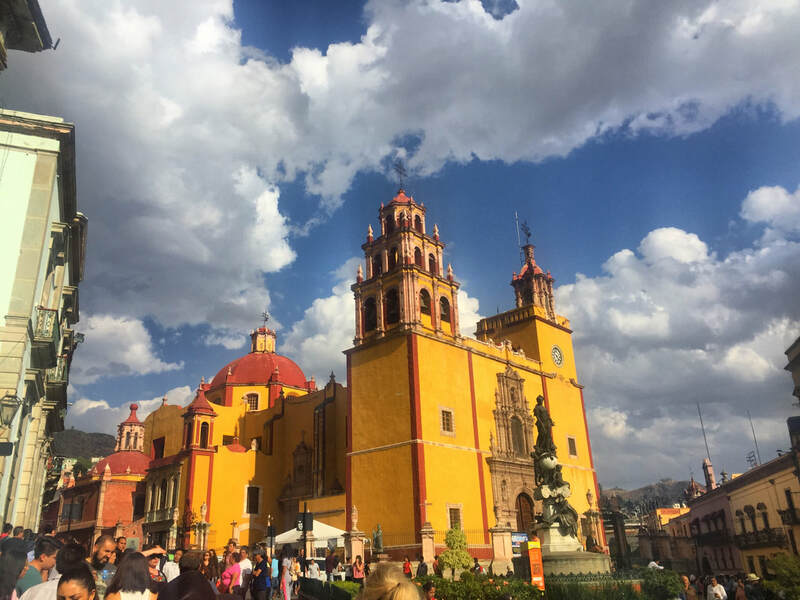 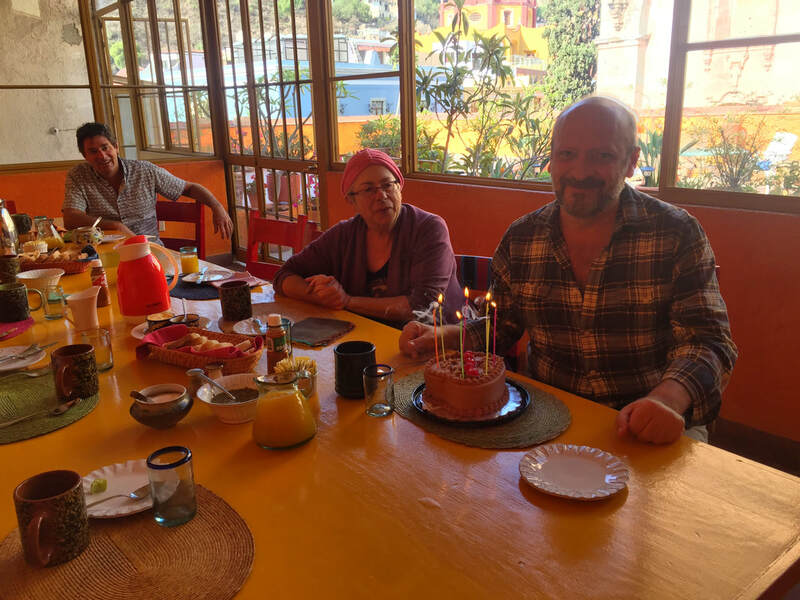 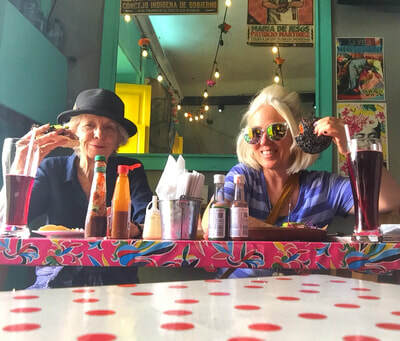 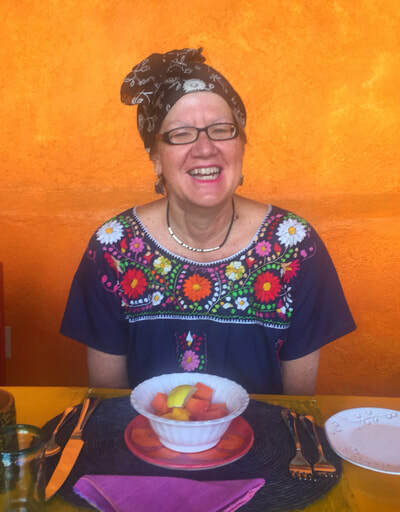 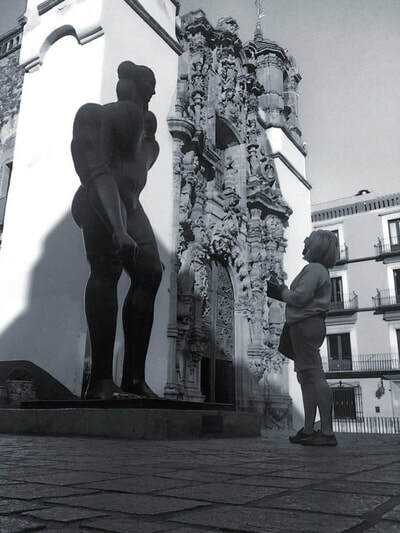 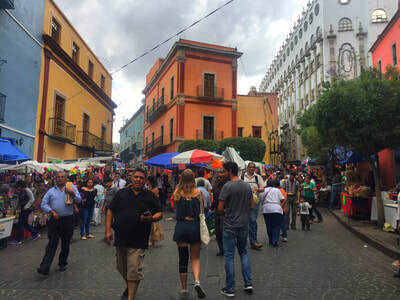 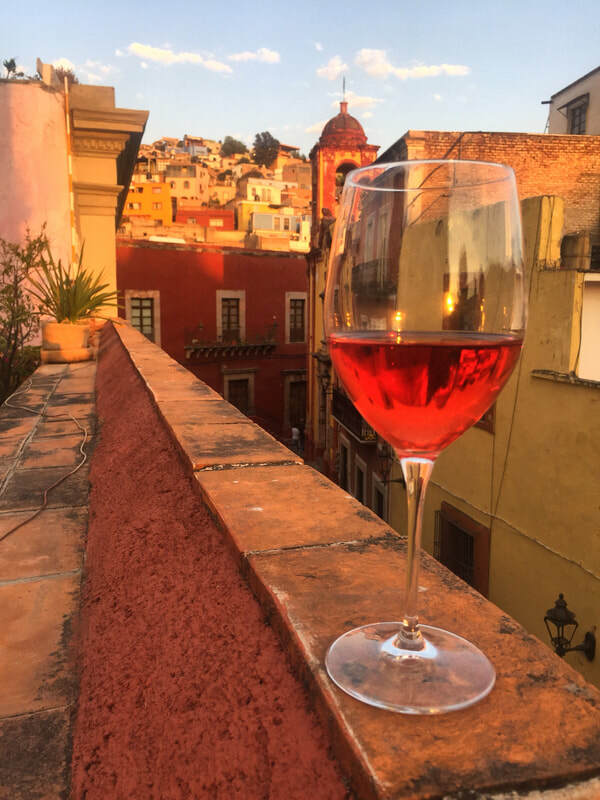 We were a smaller group and were able to maneuver through the city in enjoy the streetside mercados, follow along in a callejonada, and enjoy the somber processions from the balcony of our favorite Guanajuato B&B. 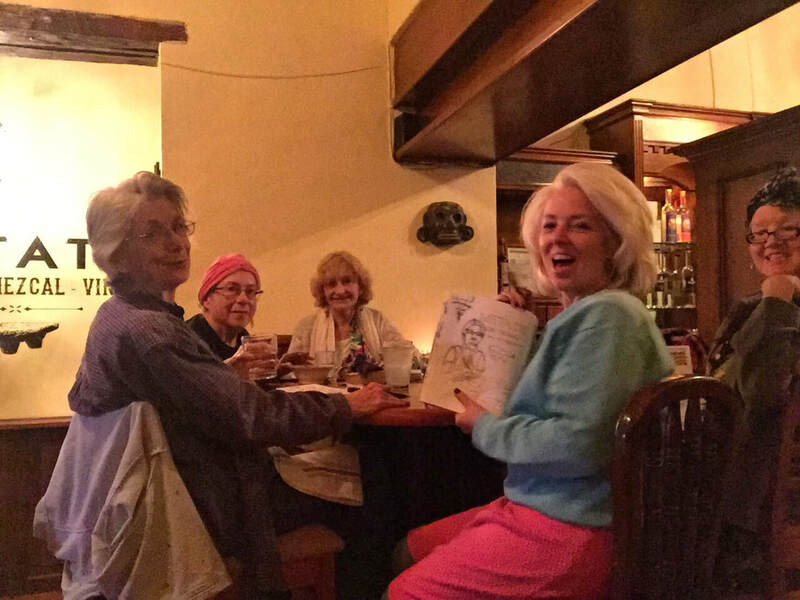 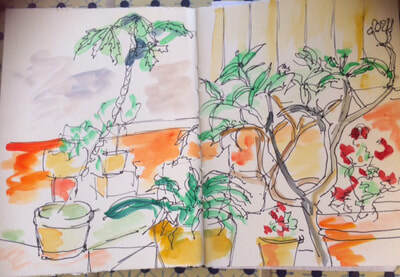 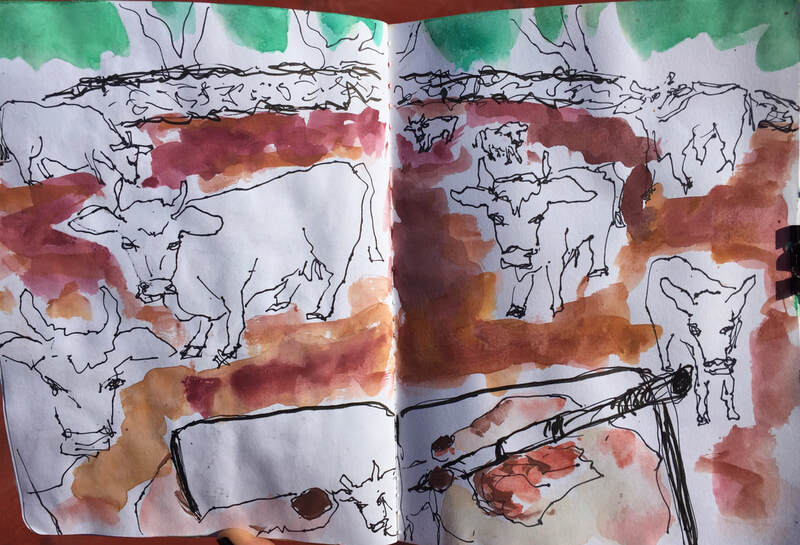 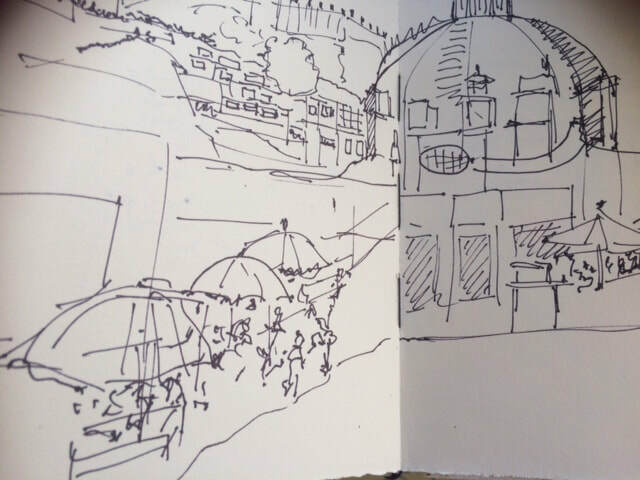 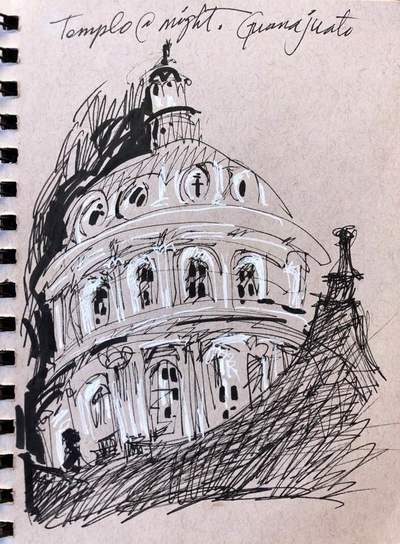 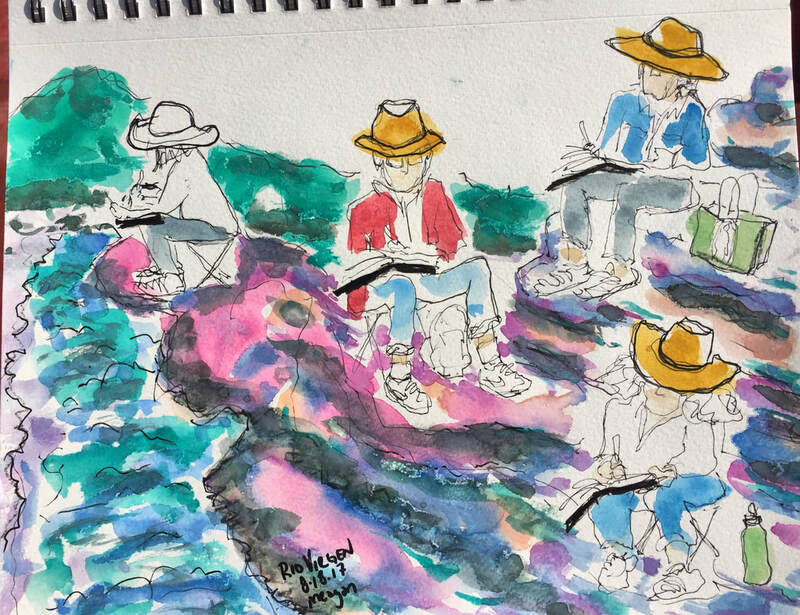 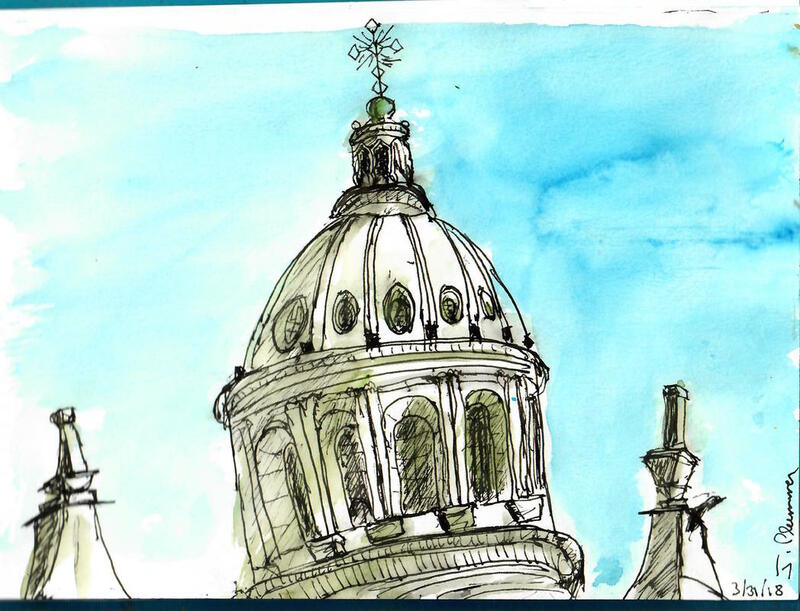 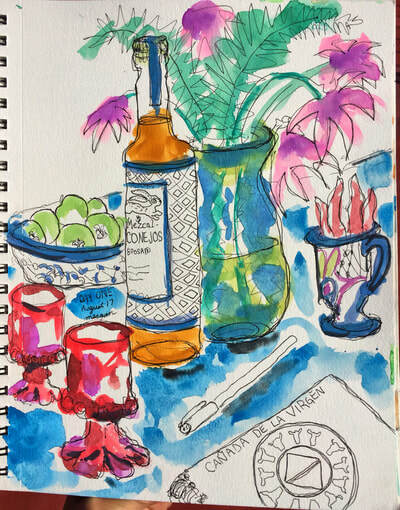 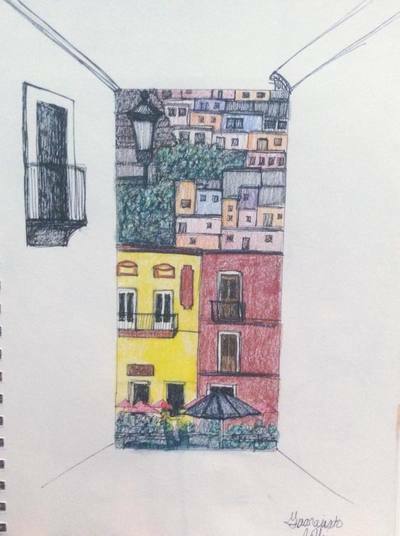 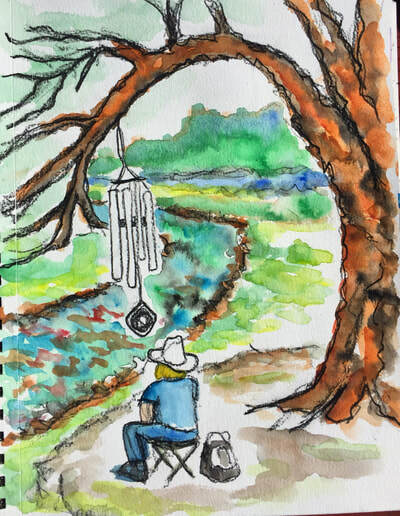 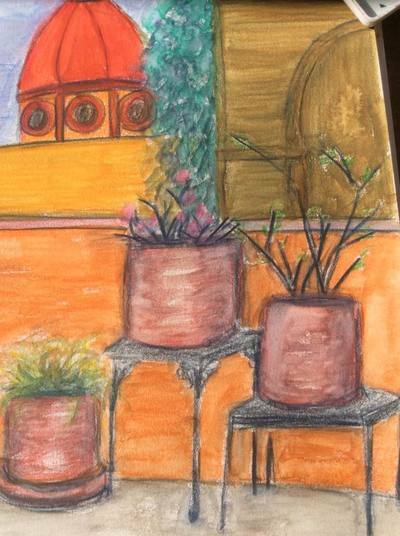 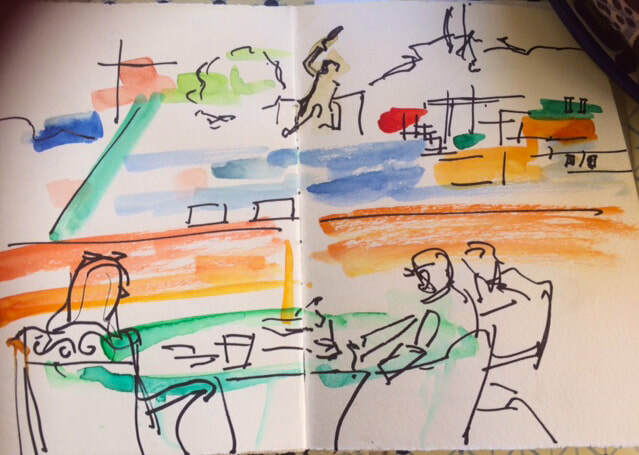 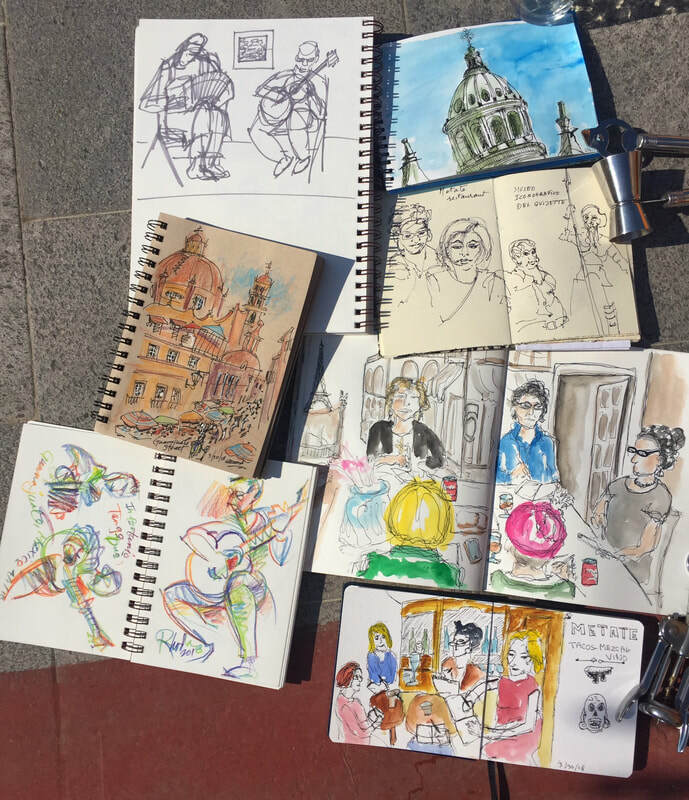 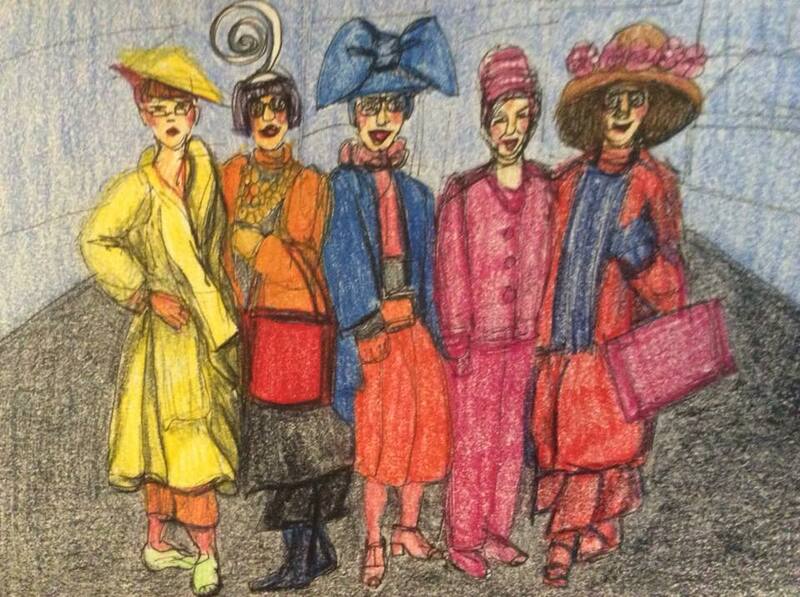 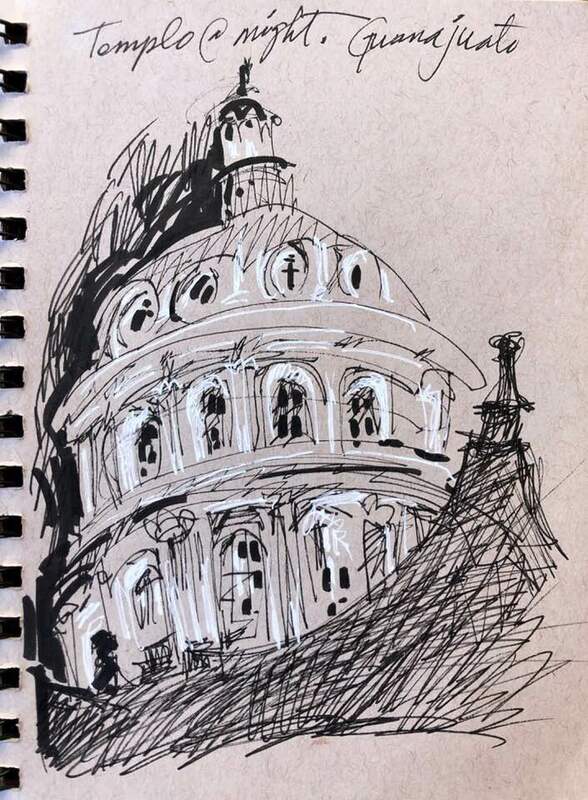 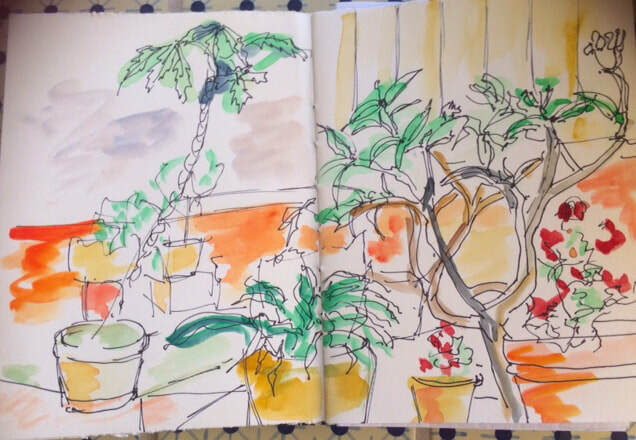 We never left home without our art bags, and had a time to hunker down and create some colorful memories in our sketchbooks. Plenty of time for food, fun and socializing on Alma del Sol's gorgeous rooftop terrace. 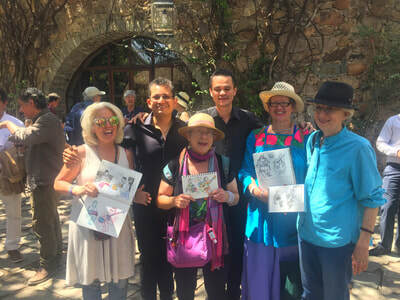 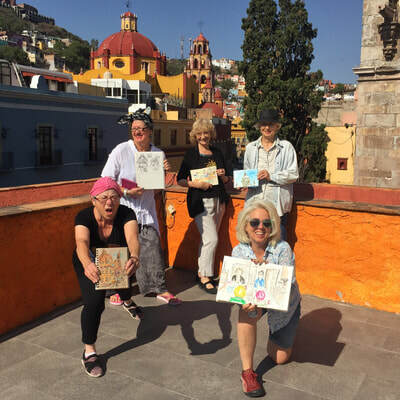 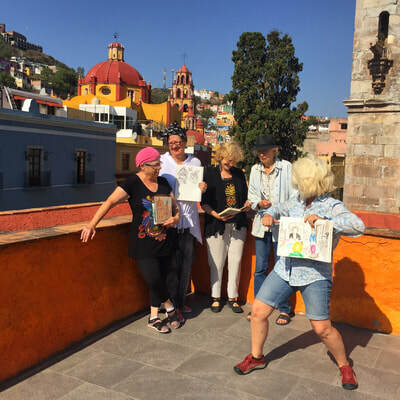 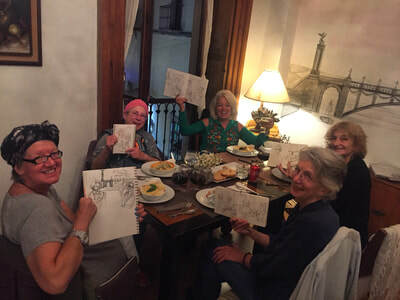 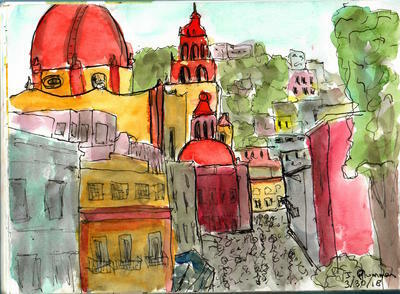 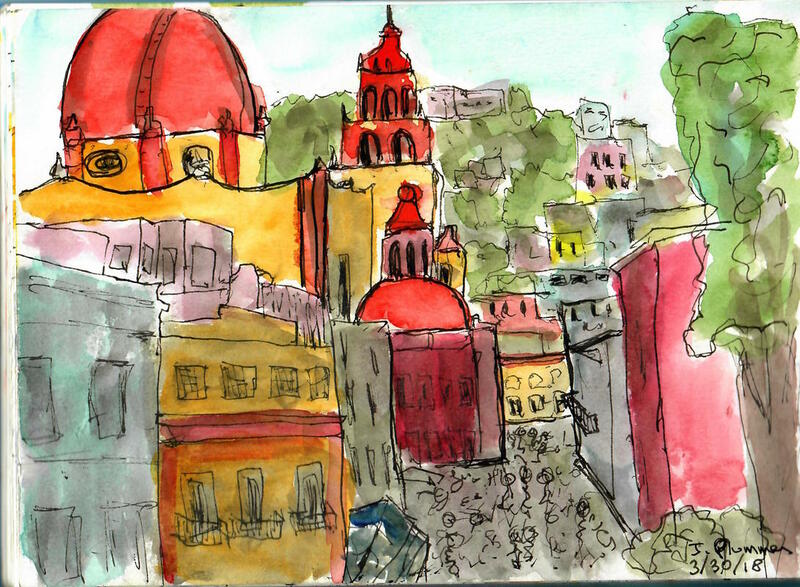 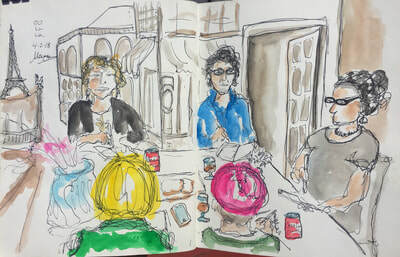 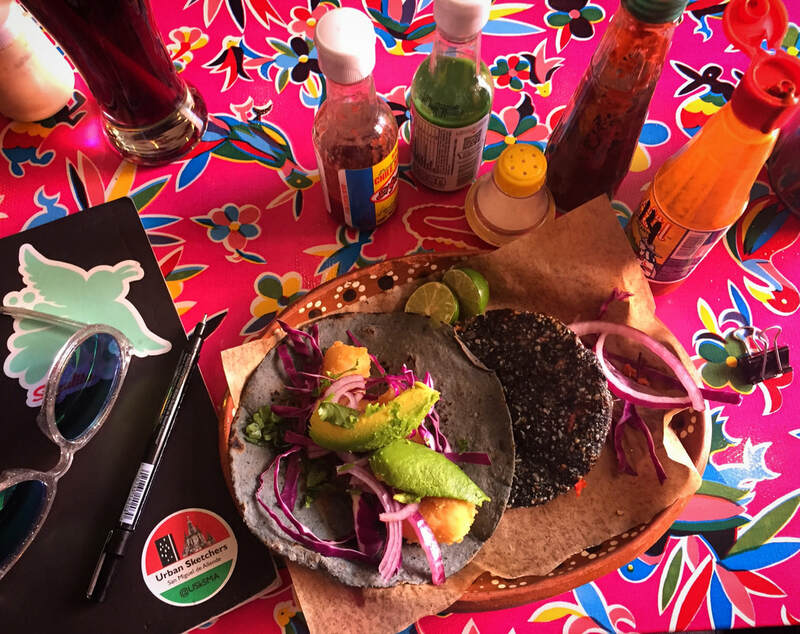 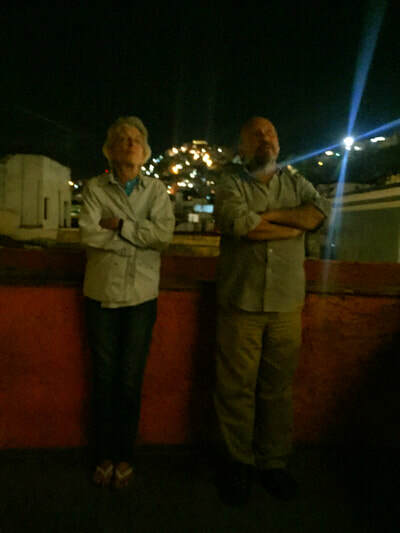 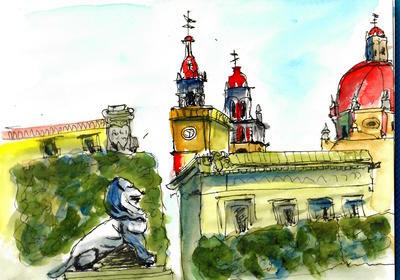 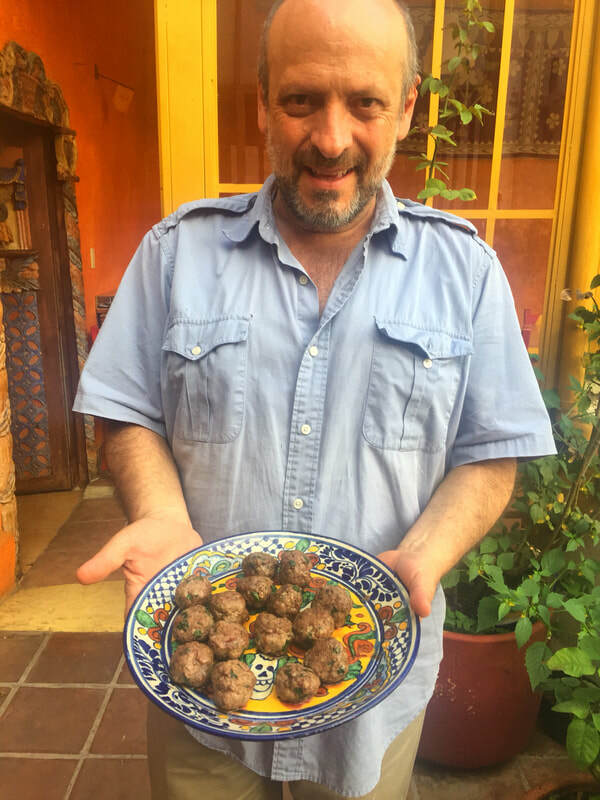 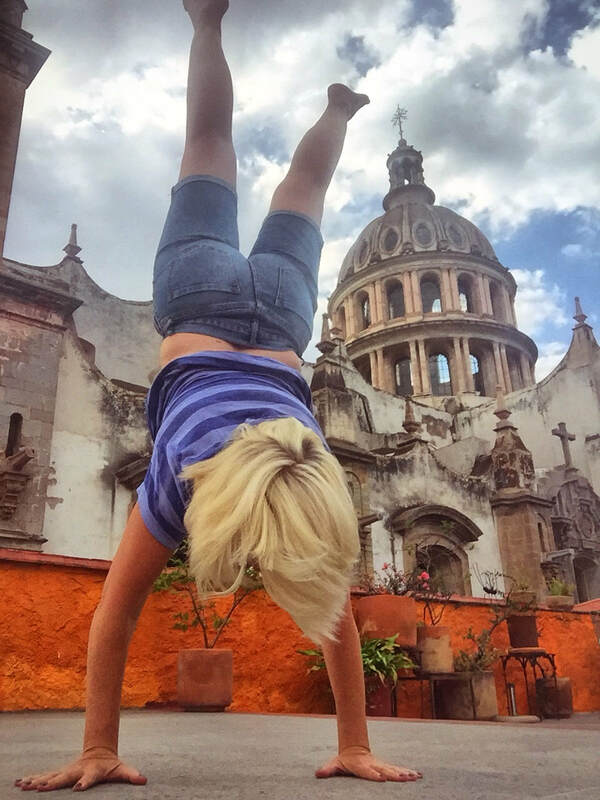 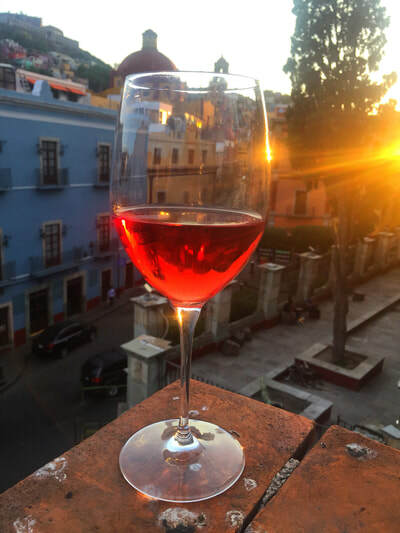 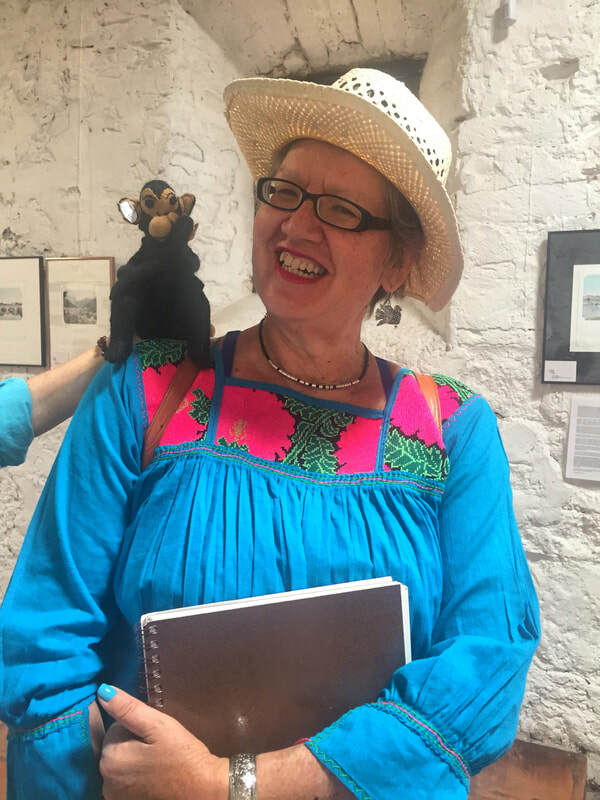 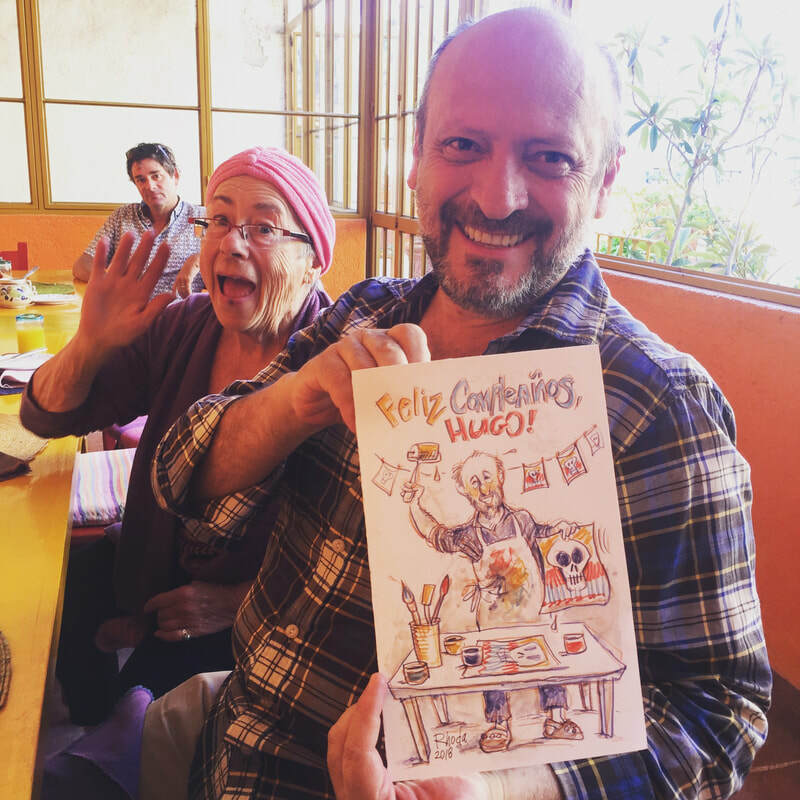 Two new Guanajuato dates on the calendar, sign up for the next one!